As of January 2019, the X MAX Starry is on its third version. The updated model now includes haptic feedback to let you know when it reaches vaping temperature, an improved mouthpiece, and more. Check out the full breakdown of these changes over on our blog post announcing the X MAX Starry Version 3.
Who's the X MAX Starry for? We're big fans of the Starry and teamed up with X-MAX to re-work the style. All black with discreet CNC'd logos. The only difference is the styling. The X MAX Starry might change what you expect to get on a budget. Swappable battery, full digital control, 25 second heat up time and 80 minutes of battery life tucked into a solidly built, ultra pocketable portable vape. The Starry vaporizer is powered by a single 18650 battery (included) that is removable so you can just swap it out and keep going all day, but you might not rush out to buy a spare since we got 80 minutes of run time off a single charge. You can’t ask for much more than great battery life and the option to swap in a fresh battery when needed! And we love removable batteries because you can just swap in a new one versus having to send your vaporizer in for warranty if your battery ever dies. 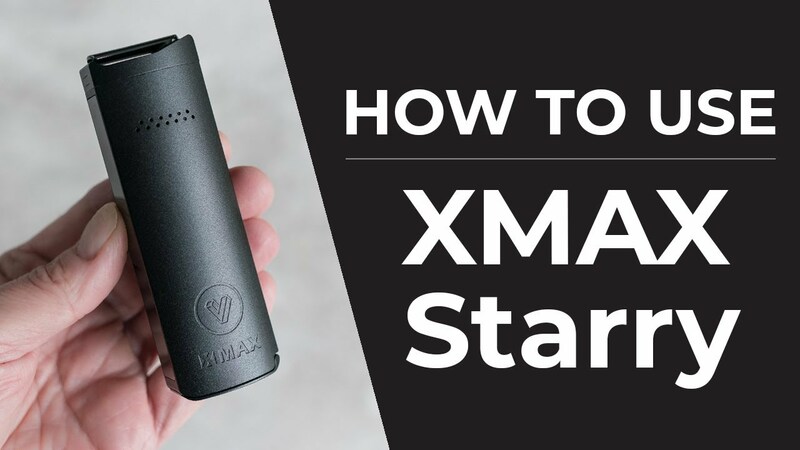 X MAX has been producing quality vaporizers for the budget vape market for a while now and the Starry sticks to the script with a standard ceramic conduction oven that tastes good and works fast. Your herbs and vapor touch nothing but ceramic and stainless steel. The Starry vaporizer has a 1-year warranty when purchased from Planet of the Vapes and, as with all vaporizers purchased from us, you are also covered by our 100% Satisfaction Guarantee. I use my new vape for short personal sessions and it works great. Took a bit to get used to compared to a pipe but I won't go back now. So easy to use and since I don't have long sessions I don't need to clean very often. No clogs here. I barely pack down my herb. Much better on the lungs too. Only negative is that I can still smell my herb when it's in the (free) vacuum pack carrier. Also free grinder works great! It’s a great starter vape but it gets dirty way too fast for my liking. The adjustability makes it really nice to use. I already use a vaporizer so, being able to use the batteries, I already have is great. Only issue I have had so far, was the ceramic oval thing in the mouth piece, cracked in half. I still use it and the screen. Not a major deal, definitely recommend.